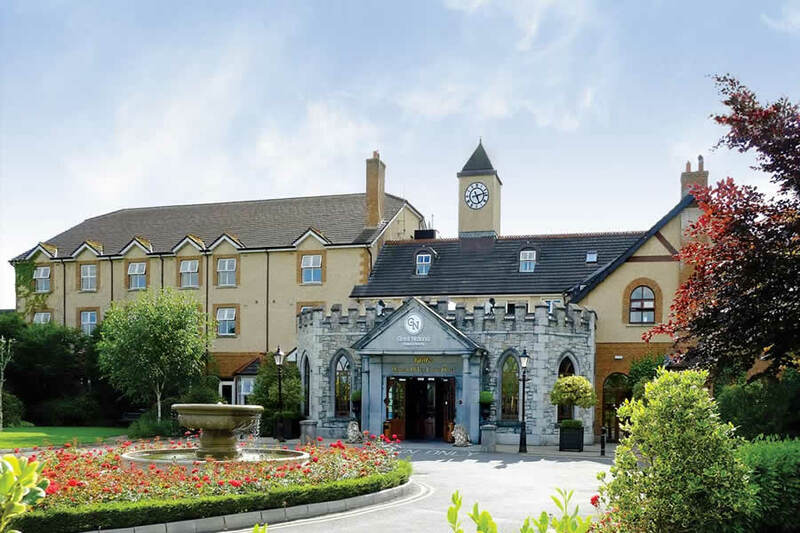 The Great National Abbey Court Hotel in Nenagh is one of the Irelands landmark 3 star hotels, located in North Tipperary, a town bursting with life and steeped in history. With its beautiful rose garden oasis and wonderful family holiday facilities, the Abbey Court is the envy of hotels nationwide. Once you cancel your booking up to 24 hours prior to arrival you will not incur a cancellation fee from the hotel. Cancellations that are made within 48 hours prior to arrival and no shows at the hotel will be charged the 1st night of the stay to your card. Please note that your booking deposit is non refundable. 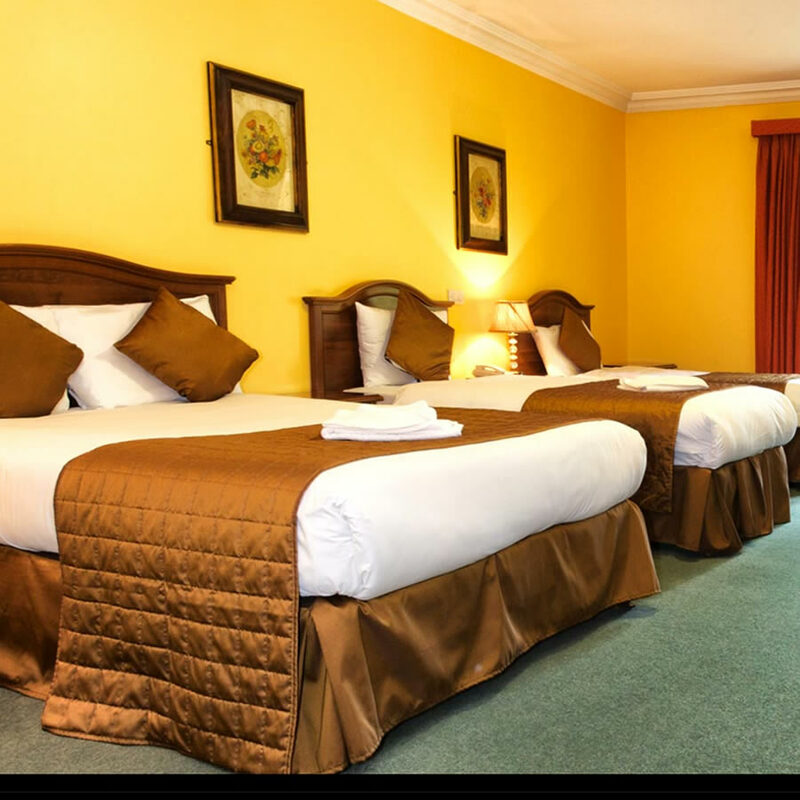 The hotel is located in the historic town of Nenagh and guests can visit the historic Nenagh Castle and Friary, shop in the market town itself or visit the nearby city of Limerick. 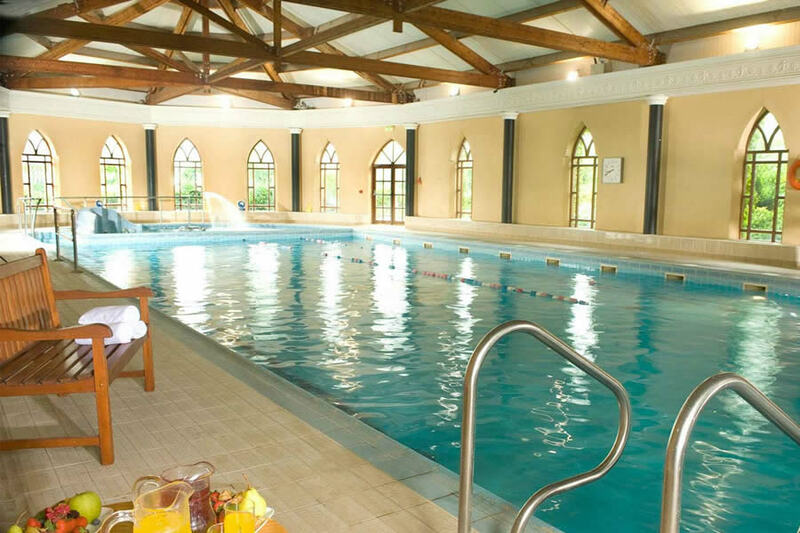 The Abbey Court also makes a great base from which to explore the stunning scenery of Lough Derg, Killaloe and Ballina. Alternatively, you could tour the Golden Vale and explore everything that Irelands mid-west has to offer. Hotel was lovely and staff was friendly but unfortunately it was let down by the food. The food in both bar and restaurant was terrible to say the least. One of our party was very ill after Saturday nights meal and could not have anything to eat the next day. For this reason I would only rate it at 3 stars. Thank you. Very enjoyable stay. The staff were very friendly and helpful. Very happy to recommend this hotel. Lovely hotel within a couple of minutes stroll of the town centre. Clean and warm. Friendly staff. Hotel easy to find. Outside of the hotel is not very appealing. From the entrance to the hotel complex which is overlooked by a derelict site. The hotel entrance itself is quite nice. The staff are very friendly. Rooms very nice and clean Food in the bar was ok nice but quite expensive. No entertainment either evening even though it had been advertised that there was. No Games Room although it is specifically mentioned in their Brochure/Information Document found on bedside locker. Overall, everything was okay, but I will not be returning. Hotel was fab! Staff are all lovely and helpful - pool was great and good was Fantastic, will be back soon! Excellent value for an overnight stay esp. with dinner included. leisure Center also included. Staff were very welcoming and attentive esp. at meal times. Will be back again. Excellent stay at this hotel. Lovely facility. Staff friendly. Rooms spacious. Reasonable room rate. Breakfast great value & tasty. Swimming pool more suited to adults or confident swimmers but beside public pool which suits families better. Would highly recommend a stay here. Second time in this hotel and as before we truly loved it! really nice and comfortable rooms, really well equipped leisure centre with friendly staff, and, on top of that, one of the best breakfast in Ireland (we loved the waffles!!!). Highly recommended and definitely will go back! LOVELY HOTEL ,GREAT LEISURE FACILITIES AND WE REALLY ENJOYED FOOD BOTH NIGHTS AND STAFF VERY HELPFUL,ROOM VERY CLEAN JUST NEEDS UPDATING.WILL BE RETURNING. Great hotel, excellent food will try to visit again. the best 3 stars hotel we have ever been. They go the extra mile in term of service and quality of breakfast, rooms, leisure centre. We will definitely go back!! Very nice hotel, staff friendly, room spacious and clean. Pool, Jacuzzi and gym are excellent. Food in the bar was good and breakfast was great. Excellent value for money. We stayed at this hotel recently and were very disappointed with both serving staff and the food, we had booked in for a meal on the fri and sat nite but after a terrible dining experience we had to cancel the meal for the sat nite and we had to go and eat outside the hotel, apart from the food everything else was lovely and john in the bar was a great guy full of chat and information about the area We will not be returning to this hotel. I would just like to say, my stay in the hotel was brilliant, all the staff where very helpful and went over and beyond there duty. The foods was gorgeous and i have a 8 month old baby and they made our stay so easy and helped out to restaurant, breakfast, the room, and even the leisure club. I would highly recommend this hotel to couples and especially familys. I would like to thank the hotel and staff so much for making my stay feel like a holiday. Excellent, staff friendly and Helpful. The Hotel was lovely, room very nice, beautiful décor and spacious and delighted to see bathroom was very clean. The food was lovely. Really enjoyed our stay and will be back. The pool was really nice,enjoyed our swim. Will recommend Hotel to friends. Catherine. Food us 10/10. Superb. Room could do with updating & sheets no hotel smooth but very happy! Gym looked great....I just never made it! Location was good as it was only 10min walk to the centre of town. The food was very good and staff were friendly. The rooms were clean but looked like it needed to be painted and tiles in the bathroom had cracks on them. I feel the receptionist could have been more informative on checking in as to what the hotel had to offer during our stay. I enjoyed every minute of our stay.,room very comfortable, Leisure facilities superb and food delicious. Staff friendly, welcoming and helpful. Really nice hotel. Staff amazing and very friendly. Food very good. rooms nice and big and clean. Nenagh town is nice. Really enjoyed our Stay there for two nights. Suits all age groups. Big car park. a very friendly hotel with good facilities, the meal was very good as was the breakfast, everything was clean and staff were friendly and helpful, would stay again at this hotel. Very nice hotel - very impressive entrance hall. Staff extremely friendly on arrival. Food was great (only complaint if you call it that was there may have been too much on the plate)!!! Beds comfortable and rooms everything required - hairdryer, iron, etc. Very nice pool. Really enjoyed our stay her and would recommend to others. A superb break, food A1, staff friendly and accomodating...will be back. Hotel clean,comforable and homely, food very good, staff very friendly also good location and good value, would definetey recommend this hotel. Nice Hotel. Great food great choice at breakfast.Pity about seating in the Bar.Not very comfortable. short staffed. but was a busy weekend.Staff very nice.Mr Mrs Leonard. Stayed for one night and had a lovely stay. The room had a king size bed in it even though we hadn't requested it. Beautiful hidden garden at the side of the hotel, well worth a walk around. Fabulous hotel, friendly staff, lovely food, gorgeous rooms, would definately recommend. Lovely hotel. Staff are helpful and friendly. Food in the restaurant and bar is beautiful. Recently stayed two nights (fri and sat). Room was very comfortable. Food was excellent and staff very friendly. I would highly recommend it. Great hotel. Would definitely stay again. Staff were amazing, rooms were great only issue was the bed was a hard but after a few drinks in the bar we hardly noticed. We used the spa would definitely recommend it. The pool and jacuzzi were lovely although seemed a little dirty. Breakfast had loads of choices. Would recommend the hotel especially for the price. Our one night stay at this hotel was very nice & up to standard. The breakfast was fully equiped with everything you could possible eat. Service was very friendly & quick.. We would stay there again. The Hotel is in good location, in walking distance to the town centre. Double rooms have lots of space, Breakfast and food is very good. Pool is huge and perfect for swimming and the Gym is also great.